I can't believe how long it has been since I updated you all on my japanese studies. To be honest, I haven't studied anywhere near the amount that I used to, but this is due to all of my studytime being transferred to learning Korean phrases for my Tae Kwon Do grading (which I passed with an A grade, and it makes me a 1st Kup Black Tag in the art). Now that the grading is out of the way I am starting to get back in to studying Japanese, but I seem to be getting in to it slower than usual. There have been a few other distractions in the last week or so, such as Easter, a family wedding, family get-togethers, and finally reaching one of my favourite parts from the Naruto manga in the anime series and being absolutely hooked on it! (oh, and the new Rock Lee spin-off series). Anyway.... As my studies had taken a bit of a knock back I started a little slowly getting myself back in to the swing of things, so most of my time has been filled with revision of vocabulary and kanji. Thankfully for the most part I remembered everything that I had studied, but had forgotten a few words and a couple of Kanji (it's annoying just how well I remember the kanji characters, but seem to forget some of the less commonly used words...). 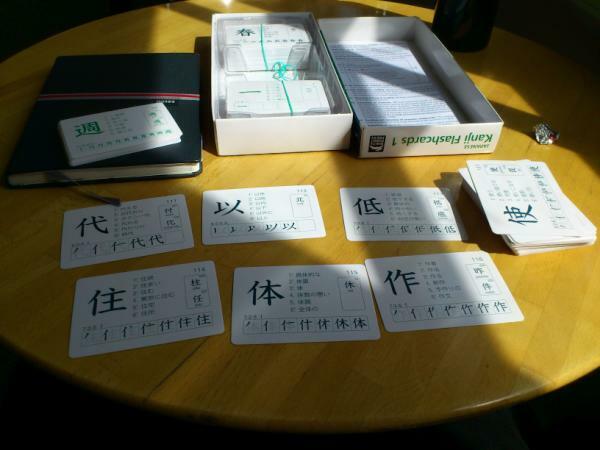 My focus for the last couple of days though has been Kanji, and as things are going quite slowly at the moment I have only learnt a few (some of which I forgot the same day... then relearnt them the following day lol). The kanji I am currently learning are all N4 characters in preparation for either the JLPT N4 or N5 at the end of the year depending how far along my studies get. 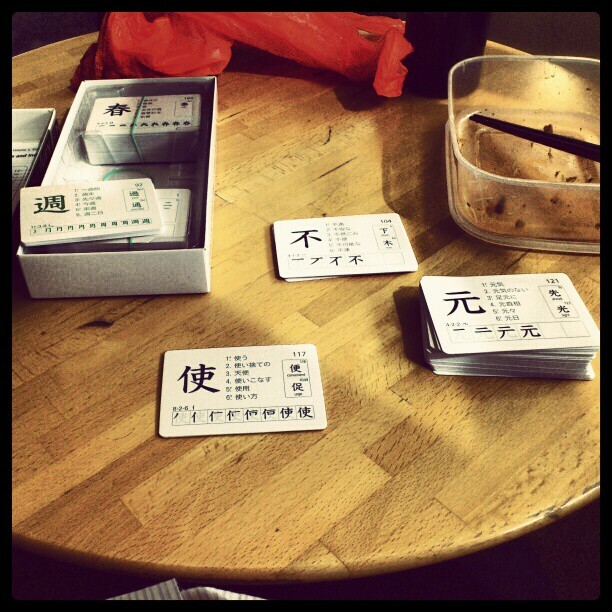 Here are the Kanji I have been learning, one is a standard picture and another is me trying out the new Android version of Instagram (I have joined the fad, and must admit I quite like it at the moment, but the novelty may wear off, only time will tell).